In traditional Judaism, women follow the rules of the Torah or Tenakh also known as the Jewish Bible. Although Jewish law excuses women from some religious duties they do have a sacred role in their religion. They bear children, run the home and take responsibility for their children’s Jewish upbringing. Also, it is the woman who passes down the Jewish faith and values to its child when it is born not the father. 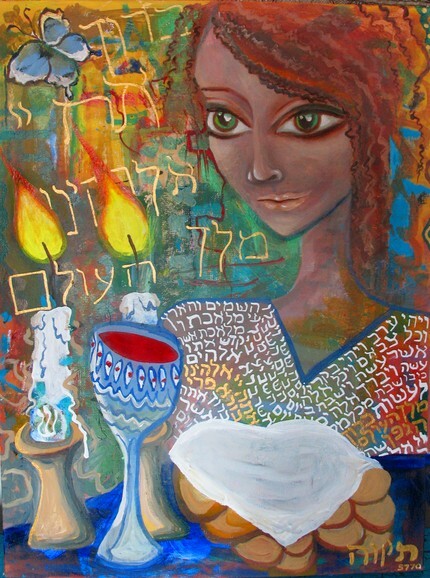 As for duties, the women are obligated to carry out the lighting of Shabbat candles. Shabbat is commenced at sunset Friday to nightfall on Saturday symbolizing the spiritual renewal or rest days. Is in charge of the Challah, which is separating a portion of dough, and Niddah a sexual separation during a woman’s menstrual period and ritual immersion afterword’s. Judaism follows the Torah and its beliefs, women have been excluded from praying along sidemen. A group was formed calling themselves the Women of the Wall where they strive to achieve the right as women to wear prayer shawls, pray and read from the Torah collectively and out loud at the Western Wall in Jerusalem. What these women want is to be recognized in their community, they want their prayers to be heard but because what they want is not in the Torah men disagree and think that it is unjust and disrespectful to their beliefs. This controversy has been going for quite a while. Although there are not many woman mentioned in the Torah who did anything , they do have powerful woman like Miriam who is considered one of the liberators of the Children of Israel. They have many other powerful women such as Chanah as well. The coming of age is celebrated when the young girl turns 12 it is known as a Bat Mitzvah. It may seem as if women are limited in having a voice but in reality do not have to wear a tzizit, have the right to be consulted with regard to their marriage, can peruse higher education and can become rabbis too. A Rabbi is a Jewish scholar or a teacher, especially one who studies or teaches Jewish law. Is also a person appointed as a Jewish religious leader. Sally Priesand became the first female rabbi in America in 1972.